STOP PAYING CARE HOME FEES! 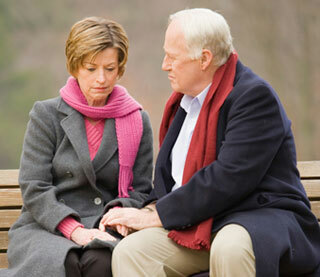 We are here to help you obtain the funding you or your loved ones are entitled to. The NHS is aware that patients have been treated unfairly which explains why only 13% of care home patients receive Continuing Health Care funding. Every week we save our clients £1000's in fees, and negotiate significant rebates for them. NHS FUNDING HAS BEEN AVAILABLE FOR YEARS, REGARDLESS OF THE PATIENT'S FINANCES. IF WE CAN ESTABLISH THAT THE PATIENT HAS A PRIMARY HEALTH NEED THEY CAN GET ONGOING FUNDING. Thousands of families in England have been wrongly denied a financial contribution towards Care Home Fees because some Primary Care Trusts (PCTs) now renamed as Clinical Commissioning Groups (CCG's) have incorrectly interpreted the rules as to which patients qualify for Care Home Fee contributions. Who can claim care home funding? To qualify for funding the patient (either yourself or someone on behalf of whom you are acting) must qualify for Continuing Health Care status. If they meet the criteria, then, regardless of their financial position, they are entitled to receive a financial contribution from the NHS. Alternatively we may be able to obtain funding from Social Services. IS THIS THE BEST KEPT SECRET IN THE NHS? Aren’t these funds paid automatically? No – it’s a postcode lottery, and because a number of Primary Care Trusts, now renamed Clinical Commissioning Groups (CCG), chose to implement the rules and regulations incorrectly, many of the 140,000 people in England and Wales who are paying their own fees have been denied funding unfairly. Who qualifies for continuing health care? If a patient goes into a care home for social reasons, they will not qualify for continuing health care (CHC). However, should they need to go into a care home because they have a Primary Health Need the NHS is obliged to pay towards their costs. Before we ask the CCG to carry out a Continuing Health Care assessment we will ask for the dates of recent assessments, and copies of the findings. Department of Health guidelines clearly state that CHC assessments must be carried out AT LEAST ANNUALLY. Family members are invited to attend, and they are held in the care home, usually in the presence of a senior member of the care home's staff. However many of our clients tell us that THEY HAVE NEVER BEEN ASSESSED AT ALL. NOT SUBJECT TO MEANS TESTING.